From developer Nitrome, “Gopogo” is the latest iOS and Android game that is essentially a cash grab app – one that appears to be free, but in reality, requires financial commitment in order to be a complete experience. 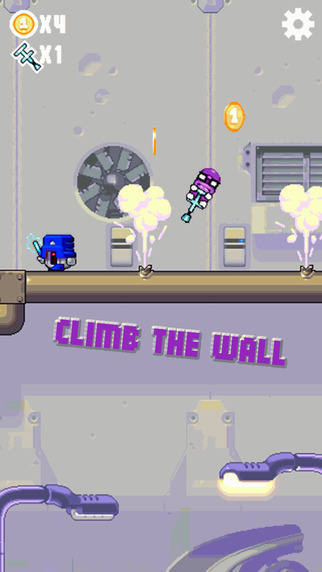 Here, you are tasked with navigating a series of platforming levels atop a pogo stick – using your finger to control the angle of the bounce. Your goal is to reach the flag at the end of each level, dodging crumbling platforms, crushing enemies and collecting coins along the way. This is fun and fresh for a few short minutes – the funky art style and “Super Mario” inspired soundbites complementing the experience nicely – but the charm fades when it becomes clear the developer only wants your money. 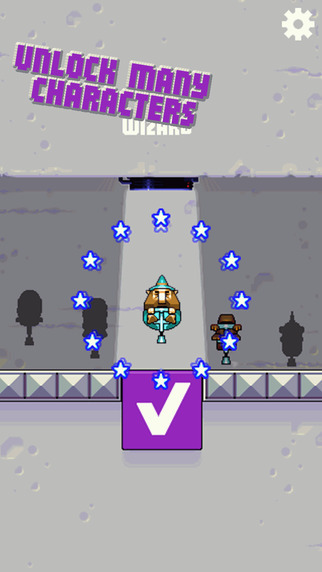 When you first load up “Gopogo,” you’ll begin the intro level with a set number of lives. If, like me, you take a while to become accustomed to the control of the pogo stick, you’ll probably lose all of them fairly quickly. This should be fine, but the problem here is that to continue, you’ll need to buy more lives, or watch some ads. Do neither, and you’ll be forced to start the level from the beginning. You can buy lives using in-game currency – but there’s so little of it available that once you buy one life, you won’t have much left to buy anymore. Watching the ad will subject you to a 30 second video for a game that both looks terrible and makes you lose interest in the game you’re currently playing. It’s hard to take “Gopogo” seriously when it doesn’t even take itself seriously. It takes advantage of the player, hoping to get them, and their wallet, addicted. 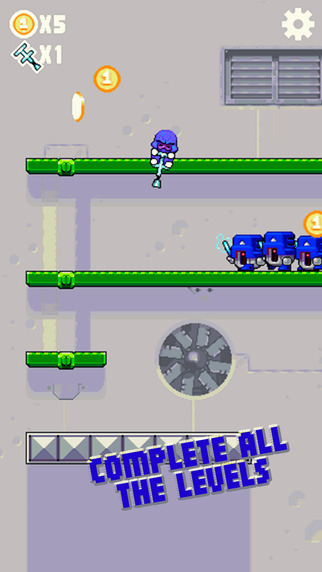 All in all, it’s quite hard to recommend “Gopogo.” If the developer had just asked for 69p to buy the app upfront, this could’ve been an enjoyable, albeit difficult, platformer. If you want a brief, five-minute distraction on the bus, go ahead – it can be enjoyable in short bursts. Just don’t expect to get very far without hitting a paywall. Reviewed on iPhone 6S. 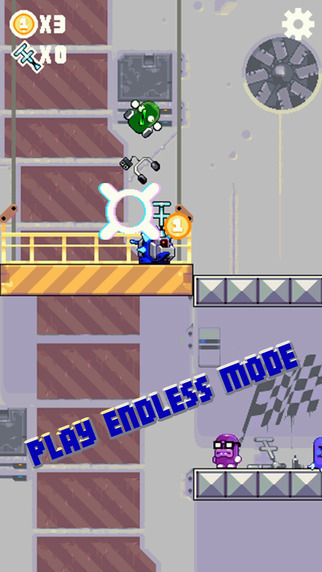 “Gopogo” on iOS requires iOS 6.0 or later and is compatible with iPhone, iPad and iPod touch. Also available on Android.